Fit-Ink: Ski Free? Yes, Please! Good news for skiers and snowboarders who want to hit the snow before Thanksgiving, especially those seeking to make tracks at Crested Butte Mountain Resort in Colorado. Not only is the resort opening in less than two weeks, but you won't have to pay a penny to ski those runs on opening day. Wait what? Yep, you read that correctly (I blinked twice too). 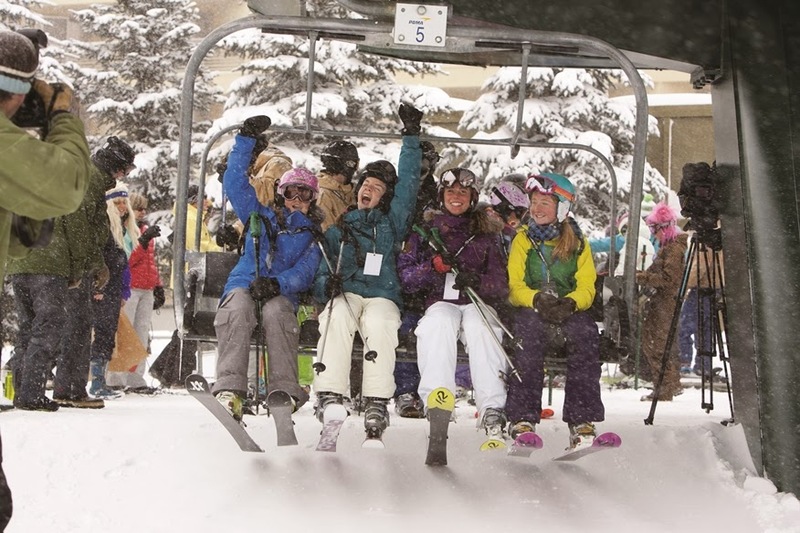 When Crested Butte's lifts start turning on November 27 for its 53rd season, you can ski free for the day, no strings attached. Crested Butte started this tradition two seasons ago and had to bring it back for a third. The awesomeness gets even better, once you pick up that free lift ticket at the Main Ticket Office in the Adventure Center before hitting the lift lines. That is if you're into costumes and especially if you have anything resembling a witch, a scarecrow or a lion, or maybe a blue-and-white-checked dress that'll slip over your snow gear. There's a costume celebration with a Blizzard of Oz theme, meaning everyone, including resort staff, can wear their favorite Wizard of Oz attire on the slopes. A yellow brick road will pave the way to the Red Lady Express lift that will take skiers to the mountain top to ski down the Emerald City. Crested Butte really goes all out, beyond the typical first chair banner I've been eyeing as other resorts open for the season, don't they? I'm kinda wishing I didn't have a Thanksgiving dinner to host. I can't think of many, ahem any, resorts that offer free skiing, can you? And what am I doing not skiing there yet? Oh yeah, I know the answer to that one: turkey trotting and family, who are not as into skiing, coming to town. Ski fail for me. But take some runs for me, if you can get out there and take advantage of some early season deals.